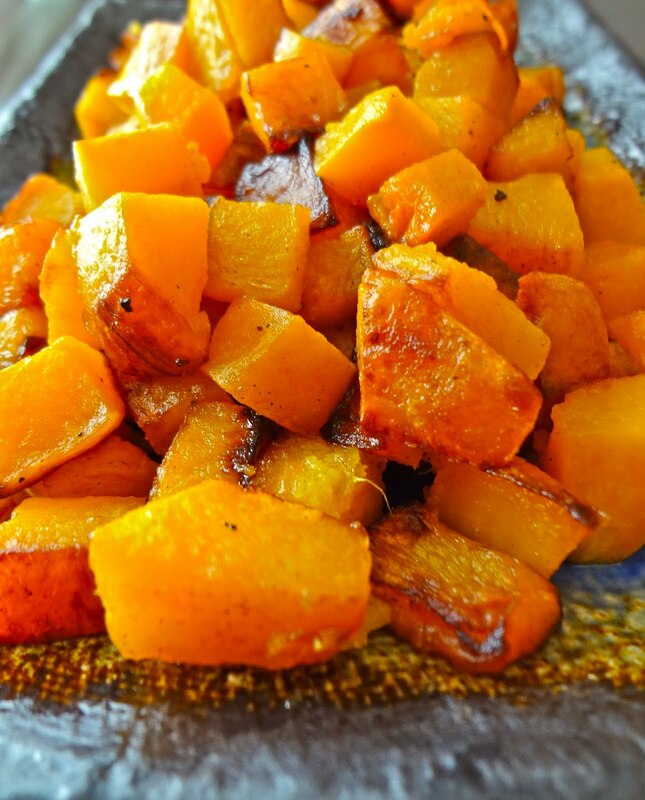 Here is an easy recipe for caramelized pumpkin which is absolutely delicious on a salad or as a side dish. The maple sugar used here is from the Sand Man at the Minneapolis Farmers' market. However, if you cannot find maple sugar, brown sugar is a good substitute. In a large skillet over medium heat, melt the butter and add the diced pumpkin. (Try to arrange the pumpkin in a single layer so that the cubes cook evenly. ) Cook for about 10 minutes, stirring occasionally, being careful not to crush the pumpkin cubes. Remove from the heat and stir in the maple sugar, ginger and cinnamon. *Brown sugar can be substituted for maple sugar. Does the type of pumpkin matter? And what's the prep time? I don not like pumpkin much, but it is looking so yummy. Victoria, I would recommend pie pumpkin or butternut squash. Thanks for stopping by guys!